So this past weekend, with a slight foggy head, I set out on a mission to make these dumplings. I decided to make mine stuffed with seitan and mushrooms. 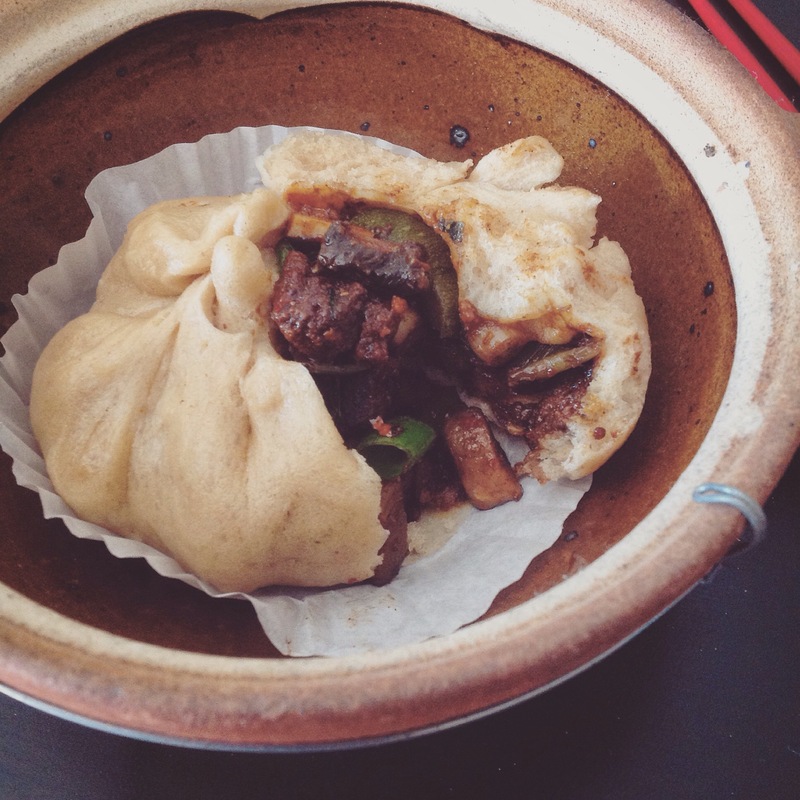 The recipe was kind of inspired by the char sui bao that I enjoyed when I ate meat. They have a sweet BBQ flavour and are incredibly moreish! Traditionally these buns are normally steamed in a bamboo steamer, but I am a bad asian and I didn’t have one of these so I used my normal steamer instead. I love my steamer, honestly it is one of my favourite kitchen gadgets and it was relatively inexpensive too! If you don’t have one, I really recommend getting one – if anything so you can make these delicious buns! The recipe can look a little intimidating but really all you have to do is make an easy dough and then stir fry your filling. The dough needs to be left to rise for about an hour, so you can leisurely make the filling in this time. I was really shocked at how easily it came together. I used my stand mixer to make the dough, but if you don’t have one then a hand and mixing bowl will work just fine! You are aiming to produce a silky soft dough. If you find that after kneading it is still too sticky, just add a spoonful more flour until you get the correct consistency. Oil the base of 9 muffin cases and ready your steamer. I needed two tiers of my steamer for this recipe. Add the yeast and sugar to a bowl. Pour in the warm water and whisk. Leave to bubble away for 5 minutes. Once the yeast mixture has rested, add the following ingredients in this order: sesame oil, flour, bicarb, baking powder and salt. Combine until you have a soft dough. Knead for around 5 minutes until the dough is smooth and silky. If the mixture is too sticky, add an extra tablespoon of strong bread flour. Place the dough into an oiled bowl and cover with cling film. Allow to rest somewhere warm for 1 hour. In this time the mixture should double in size. Whilst this is rising – make your filling! See below! After an hour, turn the dough out onto a lightly floured surface and knock the dough back to get rid of the air. Roll the dough into a sausage shape and cut out 9 even pieces. Roughly shape a dough piece into a circle, ensuring that dough is of an even thickness. Take your filling and place a dessertspoonful into the middle of the dough circle. Take the edges of the dough and bring upwards, pinch together until you have made a dough bundle. Place the dumpling into a cupcake case and place this into a rack on your steamer. Repeat the process until you have used up all the dough. Steam for 25 minutes until the dumplings have puffed up. Enjoy with soya sauce, chilli flakes and chilli sauce. 1 tbsp Chinese five spice. Heat the oil in a wok over a medium heat. Add the garlic and spring onions. Add the mushrooms, courgettes and seitan to the onion mixture and saute until softened. Add the rest of the ingredients and cook for a further five minutes. Until the ingredients are coated in a thick sauce. Allow to cool before spooning into the dough circles (Step 8 above). There we have it – fluffy, delicious bao! I hope you enjoy this recipe! If you have any questions please leave me a comment below and I will be happy to help! 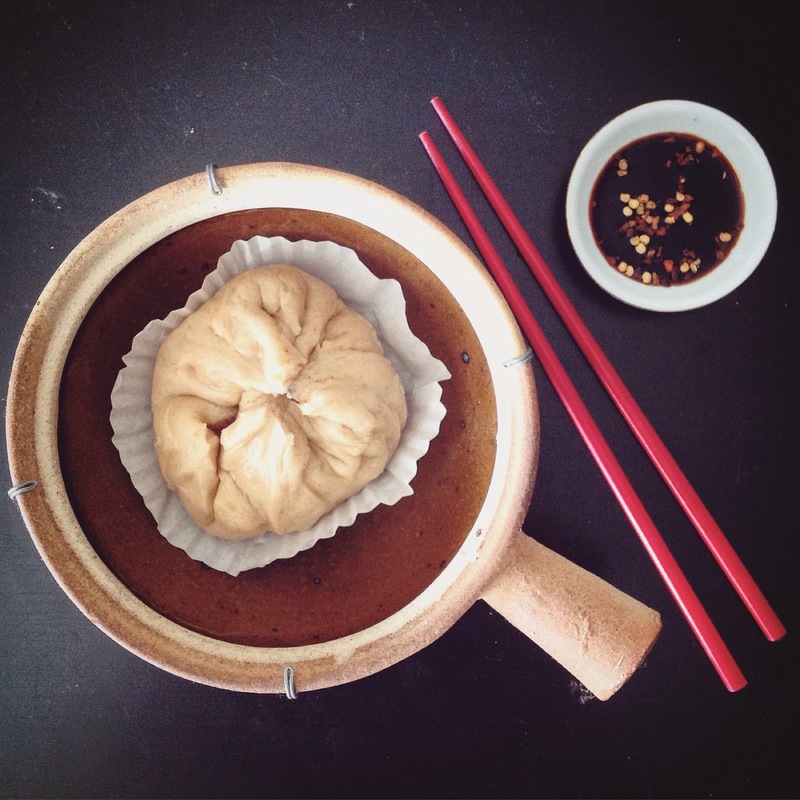 Posted on August 12, 2015 January 10, 2016 by TinaManahaiPosted in RecipeTagged anytime, asian, bread, buns, Chinese New Year, dinner, Healthy, lunch, starter, steamed, vegan, Vegetarian.